Merry Christmas dear readers, and Happy New Year! So, please feel free to browse our previous articles contributed by some fantastic writers just like you. You can find your favorite authors here (and if you don't, let us know, maybe we can work something out *wink*). We hope you have a wonderful holiday season, celebrating Christ's birth! And we look forward to joining you again here in January, 2011. Happy New Year! Welcome to another Fortifying Friday—the day we invite guest authors to share their journeys to publication, and/or encouraging words to fortify us as we all continue on our own writing journeys. Today, Mindy Starns Clark is here to talk about a question that many of us have probably asked not only once, but many times. Soak in and enjoy Mindy’s inspiring words. Does God really want me to be a writer? I may not know you, but I know the answer: Yes. He does. If you have the burning desire to write, then yes, absolutely, God wants you to be a writer. How do I know? Because He’s the one who created you and placed that compulsion within you in the first place! If you possess a persistent, driving urge to write, then that settles it: Yes, God really wants you to be a writer. Does God really want me to be a published writer? Does God really want me to be a successful writer? Does God really want me to be a paid writer? Now we’re talking about a different matter, about our own, earthly ambitions coming to fruition and earning tangible results. Make no mistake, it’s perfectly fine to want to be published or successful or paid for writing. I’ve based career on it. Being published can be incredibly rewarding. But it’s important to remember that being published is not the same as being a writer. As a Christian, especially, you need to understand the difference. Being published is simply a career path. Being a writer is actually a much broader term. You see, God gave you this compulsion for a reason: so you would write words that He could use to touch hearts and change lives. And that can happen whether you ever achieve your writing ambitions or not, often in ways that you won’t even know about, at least not this side of heaven. • What if all you ever write is a column for your church newsletter? Well, perhaps that column will spark something in a reader and cause them to come to a service on Sunday, which in turn will lead them to rededicate their life to Christ. • What if all you ever write are submission letters for works that never get accepted? Perhaps God is using the submission process to teach you patience and humility. Or maybe one of your proposals, though rejected, has caused someone in your critique group to rethink something in their life that’s coming between them and God. • What if all you ever write is a little play for your daughter’s Sunday School class? Perhaps one of the actor’s lines includes a Bible reference that lodges in their memory and ends up staying with them for life and comforting them in a difficult time. • What if all you ever write are private journal entries that no one ever sees but you? Then perhaps God has been using the act of journaling as a way to touch your heart, to change your life. See what I mean? If you’re compelled to write, God wants you writing. Learning. Honing your craft. Taking chances. Exploring ideas. Most importantly, whether you ever end up getting published or not, He wants you to surrender all of your writing to Him—so that He can take your words exactly where He wants them to go. 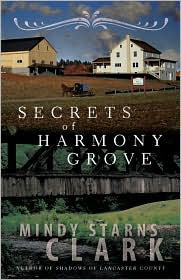 Mindy Starns Clark is the bestselling author of two nonfiction books and 12 novels, including her latest release, Secrets of Harmony Grove. A former stand-up comedian, Mindy is also a popular playwright and inspirational speaker. She lives with her husband and two daughters near Valley Forge, PA. In just a few words, Proverbs 21:31 delivers a strong motto to live by, no matter what we’re tackling. Do our best. We can’t do more than that, but we should at least do that much. That means when it comes to our writing—we write, rewrite, and then rewrite again as many times as necessary to create a piece that is as good as we can make it. Prepare for the worst. If we prepare, we’re not surprised for any result that may disappoint. What’s the worst thing that can happen? A rejection? No publication? A bad review? Poor sales? Trust God to bring the victory. We're never alone. That includes our writing career. God is in the trenches with us. He has a plan. He’s in control. Trust him to bring the victory! Let’s remember to pray for them. Remember, the point is to hunt out the blatantly illegal, not matters of preference or opinion. 1) I like to recognize the distinction between Advent Hymns, which talk about the coming of the Messiah, and Christmas Hymns, which celebrate his birth. Correct: I like to recognize the distinction between Advent hymns, which talk about the coming of the Messiah, and Christmas hymns, which celebrate his birth. 2) Traditionally, church’s only sang Advent Hymns until Christmas Sunday when they rejoiced with Christmas Hymns. Correct: Traditionally, churches only sang Advent hymns until Christmas Sunday when they rejoiced with Christmas hymns. 3) What’s your favorite hymns of the season? Here’s some of mine. Correct: What are your favorite hymns of the season? Here are some of mine. 4) For Advent, I love O Come O Come Emmanuel. Such poignant Old Testament references! Correct: For Advent, I love “O Come O Come Emmanuel”—such poignant Old Testament references! 5) My favorite Christmas hymn is What Child is This? The words draw me into the nativity scene, and the haunting melody. Correct: My favorite Christmas hymn is “What Child is This?” The words draw me into the nativity scene, and the haunting melody appeals to me. If I could find one, I’d put a scroll-work decoration above our fireplace which would read: Believe. And I may just leave it up all year. Believing is a theme in my life as a Christian. But I can’t help it. I love writing! From that first spark in junior high ‘til now, I’m committed. Believe you’re going somewhere. God has you on your own individualized writing and publishing path. Don’t compare yourself to others, just trust His work as you move forward. And if there are days when all you can do is face forward in hope—do it! Believe He’ll use you. God has a plan for you and your writing. If He’s called you to this, He means to use you. 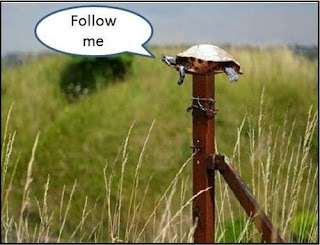 Follow Him. Wait on Him. Believe in His goodness through all the rejections and trials. There’s no greater joy than being used by God. Believe He’ll reward you in time. Hours and hours and years and years at the computer keyboard. Loads of words. Pages of manuscripts. Piles of empty ink cartridges. He sees your sacrifices and calls you to persevere. He will reward you. Laboring for the Lord is never in vain. Believe good things will happen. You will have your breakthrough. You will see your dreams come true if you don’t give up. Hang in there. God-given dreams buried in a heart sold out to God are powerful. This Christmas season . . . Believe. Hey readers, it's Manuscript Monday. Today, Ocieanna, your hostess for Wednesdays, is here to share an article on incorporating the five senses into our writing. Welcome, Ocieanna, a couple days early. We’re all familiar with the A Christmas Carol movies, but have you ever read Charles Dickens’ short classic? When I recently sat down with it, I realized how Dickens uses the five senses to key into our emotions in a powerful way. Let’s see what we can glean by exploring his work. Of course, sight is the sense we writers utilize most. Virtually every time we portray something, we begin with what it looks like—that’s why our visual descriptions must sparkle. Ever come across a sentence like this? “Mary sat on the couch.” Blah. It cries for more. We need to see the scuffed leather, to gaze into the eyes of the moose head on the wall. Here’s how Dickens does it. The ancient tower of a church, whose gruff old bell was always peeping slily down at Scrooge out of a gothic window in the wall, became invisible, and struck the hours and quarters in the clouds. By his use of well-chosen adjectives and nouns—“ancient tower,” “gruff old bell,” “gothic window”—the church tower becomes real in our mind’s eye. Add the clouds, and we can almost feel it “peeping slyly” at us. Note that Dickens doesn’t bog down his prose with the overused, “he saw, she noticed, etc.” He simply describes the church tower, and we know it’s Scrooge who sees it. Holly sprigs and berries crackled in the lamp-heat of the windows. Here Dickens emphasizes the “little noises” to craft a London Christmas Eve. It’s the often drowned-out sounds that strike our emotions unexpectedly, pulling us into the fabric of a story. Smell evokes memories and strong emotions like nothing else. Alleys and archways, like so many cesspools, disgorged their offences of smell, and dirt, and life, upon the straggling streets; and the whole quarter reeked with crime, with filth, and misery. Dickens uses smell as a secret weapon to whisk us to a London back alley. And what would transport us better than these rancid odors? In the main street, at the corner of the court, some labourers were repairing the gas-pipes, and had lighted a great fire in a brazier, round which a party of ragged men and boys were gathered: warming their hands and winking their eyes before the blaze in rapture. The owner of one scant young nose, gnawed by the hungry cold as bones are gnawed by dogs, stooped down at Scrooge's keyhole to regale him with a Christmas carol. Did you feel the warmth of the fire on the “ragged men and boys” hands contrasting against the frigid night? Also, here I am in front of my cozy fireplace, enwrapped in an afghan, and yet seeing the “scant young nose” being gnawed by the “hungry cold” sent a chill through me, did you feel one too? Not only does Dickens’ meticulous description of the cold bring us into the story, it symbolizes Scrooge’s icy heart. As the story progresses and Scrooge thaws, the settings grow warmer too. Cratchit made the gravy (ready beforehand in a little saucepan) hissing hot; Master Peter mashed the potatoes with incredible vigour; Miss Belinda sweetened up the apple-sauce. And Bob said he didn't believe there ever was such a goose cooked. Its tenderness and flavour, size and cheapness, were the themes of universal admiration. Eked out by apple-sauce and mashed potatoes. Again Dickens shows (not tells) us a scene to arouse the senses. The warm gravy blended with the vigorously mashed potatoes oozes down our throats. And the incredible goose, along with the other perfected delicacies, tantalizes our hunger even more. The tastes in this scene also conjure the sense of love, family, and holiday cheer that makes this tale a beloved classic. By using the five senses, Dickens allows us to travel right along with dear old Ebenezer. As we experience the story with him, our emotions are stirred—and we’re gifted with powerful tools to create our own classics. The Second World War has stolen Rosalie's fiancé from her. But rather than wallow, Rosalie throws herself into her work at the Boeing plant in Victory Heights, shooting rivets into the B-17 bombers that will destroy the enemy. A local reporter dubs her Seattle's Own Rosie the Riveter, and her story lends inspiration to women across the country. While Rosalie's strong arms can bear the weight of this new responsibility, her heart cannot handle the intense feelings that begin to surface for Kenny, the handsome reporter. Fear of a second heartbreak is a powerful opponent - but will it claim victory over love? Ocieanna Fleiss has cowritten two novels with Tricia Goyer—both for Summerside press. 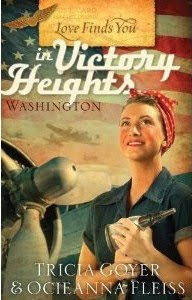 The most recent, Love Finds You in Victory Heights, Washington, released July, 2010. Ocieanna has also written several articles for national publications and a bi-monthy column for Northwest Christian Writers Association. Homeschool mom of four little ones, she, along with her husband, stay busy at her home in the Seattle area. This Fortifying Friday, author Lorna Seilstad is here to share her journey to publication. I know you’re going to enjoy her story and the encouragement it brings! Welcome, Lorna! I’ve said before that Moses and I have a lot in common. About three years ago, I realized that God wanted me to take the passion He’d placed within me for writing onto a new level. I’d been writing fan fiction on a wonderful site for several years, but I felt a tug that it was time to work toward publication. When God called him to lead the Israelites out of Egypt, he made excuses. When I felt God calling me, I pulled a Moses and spouted off a long list of excuses. God, in his infinite patience, removed each one. “What if no one wants to read what I’ve written?” I asked. 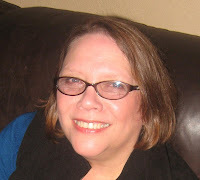 In April of 2008, I joined American Christian Fiction Writers. I read everything I could, participated in online classes, and read through archives. In September, at my first ACFW conference, I met with Andrea Doering, Revell’s senior acquisitions editor, at my editor meeting, and introduced myself, praying she didn’t see my legs shaking. Then, the worst thing happened. I forgot every word of my pitch. I remembered reading that Myra Johnson said she often handed her one sheet to the editor and sat quietly while they read it. After all, she said, they were used to making decisions on what they read. That’s exactly what I did. When Andrea finished the one sheet, she asked me a few questions and then asked to see my chapters. I again sat silently while she read two of the three chapters. Thank goodness she laughed at the right places. I knew I was in trouble if she didn’t. She then set it down, complimented me on my fresh voice, and asked me to send a full manuscript to her. I just tried to not fall out of my chair. I sent her the full manuscript a few months later. She then asked if I could come up with two more book ideas so she could present the idea as a series. I wrote two more book synopses in two weeks. Within the month, I had a three-book contract with Revell and the agent of my dreams, Wendy Lawton. Lorna Seilstad has called Iowa home her whole life. She received her B.S. in education from Lubbock Christian University. After her first child was born, she quit teaching and became a professional wiper. "I wiped noses, tears, skinned knees, baby's bottoms, and countertops every day. But at naptime, I wrote." 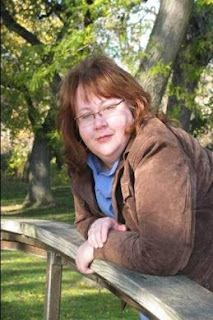 Today, she writes historical fiction with a generous dash of humor, and lives in Iowa with her husband and three children—ages18, 16, and 11. For instance … I enjoy editing, critiquing, and sharing knowledge pertaining to writing. I’ve written devotions for years. But I don’t consider myself a teacher. I exhibit some leadership skills when I organize various meetings or social functions. However, because I’m an introvert, I don’t consider myself a leader. I like to help people, but there are large numbers of people who know how to serve better than I.
I’m a listener, encourager, and counselor. How does this pertain to writing? There are a multitude of things we can do to help our fellow-wordsmiths besides explaining active versus passive writing. If you’re a servant, perhaps you could promote authors by writing book reviews, posting author interviews on your blog, or talking to your local librarians. If you’re a member of a local writers group or chapter, you could help set up for meetings or even provide refreshments. If you’re a teacher, look for opportunities to lead workshops at your library or local conferences. Offer to mentor a young writer. If you’re a prayer warrior, join the e-mail prayer loops that various writers’ organizations (like ACFW) provide. Offer to pray for writers who are going through a rough time. Pray in general for your favorite authors—for their writing, ministry, and families. If you’re an encourager, try to be aware of writers needing a little support. They may be friends, critique partners, writers you know through e-mail loops, or even those you “befriend” on Facebook. One gift isn’t more important than the other. What gifts do you have to share? 1) Yesterday me and my husband celebrated our 19th wedding anniversary. Correct: Yesterday my husband and I celebrated our nineteenth wedding anniversary. Tip: According to Chicago Manuel of Style, numbers from one to ninety-nine are spelled out. 2) I think we compliment eachother well. Correct: I think we complement each other well. 3) I pondered the seasons of our life together, relishing the memories. Correct: Relishing the memories, I pondered the seasons of our life together. 4) The carefree pre-kid years seem a distant memory. Vacations. Interesting jobs. Late-night jaunts to coffee shops with friends and especially alone time. Correct: The carefree, pre-kid years, filled with vacations, interesting jobs, late-night jaunts to coffee shops with friends, and especially alone time, seem a distant memory. 5) And then we had kids—everything else is literally a blur. Correct: And then we had kids—everything else is a blur. Hey readers, Annette here. My husband and I attended a wedding in mid-November. Ahh… commitment. Here at Seriously Write, we’re winding down our series on new commitments. This week let’s discuss committing (or recommitting) our writing to God. When you started out (how long ago was that now? *grin*), you probably responded joyfully to the call to write and easily, heartily committed your writing life to God. Then, as you waited to meet with your dream agent at a conference you recommitted. (Stress’ll do that do you.) Then, as you waited to hear back from that submission you sent in, you fasted, prayed, and re-recommitted. (I know I’m not the only one.) Well, whether you’re now working on your dream project with your dream team or not, it may be time to recommit your writing to God. Indeed. Nope. Sorry. Had to chuckle at that line because that’s exactly how it is. You know it, too, don’t you? So, as we’re pursuing God and His calling for our lives, we’ll need His help to balance everything. If things have shifted or slipped, perhaps it’s time to recommit your writing life to Him. Recommitting the written words – I recall a few instances where I was writing along and certain scenarios popped into my mind which didn’t pass through my filter. We should definitely include trouble in our stories (for you fiction writers), but I don’t believe we should include troublesome material—like scenarios that do not glorify God (or will not, eventually); words which do not honor Him; or a spirit which doesn’t glorify Him. Of course, this is subjective. So here’s how you know: seek God in humility and let Him guide you. Commit your written words to Him. Recommitting our writing goals – we can set all the goals we want, but if God’s not in them, we’ll run up against a wall again and again. Commit your writing goals to God. Pray over them. Partner with God to set them and then trust Him to help you make them. He wants you to succeed! This list challenges me. How about you? But the holidays are a great time to take stock and recommit, don’t you think? That way, come the new year, you’re ready to dive right in with all the courage and joy that comes in knowing God is in the middle of your writing life. Ever have a hard time coming up with a title? This Manuscript Monday, Linda Kozar is here to share her tips for nailing down the perfect one. Enjoy! Kings and Queens have them. So do politicians. Men and women in the military salute those who have them. Your boss has one, and maybe you do too. Whether you sit on a throne or a tractor, titles are important. And the same is true of book titles. A good title should attract an editor’s eye the same way it would attract a reader’s. If an editor likes your title, it is more likely they will look at your proposal with an open mind and an attitude of expectation. They will want to like your work. A good title also tells a publishing house a lot about your creativity. It’s up to you to keep their interest beyond that uber title with a dazzling story to match it. Attract the reader’s attention, be memorable, appropriate to the content, be interesting or evocative, represent your work, be identifiable with your brand and most importantly, be exciting! Be a popular expression or a play on words, come from an existing work, be a person’s name. reflect your setting, be possessive, put forth an association of ideas, represent an event or activity, repeat a memorable line from a story, have rhythm, be simple. 1. Pray and ask God to give you title ideas! 2. What is the book’s genre? 4. Keep the title short and sweet. 10. Look into your heart—you’re the writer! 14. Is there one character that stands out? Try that character’s name. 15. Write down a long list and rearrange the words. Cross some off. 16. Run your titles by other writers, friends, family—anyone who can be objective. Linda Kozar is the co-author of Babes With A Beatitude—Devotions For Smart, Savvy Women of Faith (Howard/Simon & Schuster) and author of Misfortune Cookies(2008), Just Desserts (2011) (Barbour Publishing). She received the ACFW Mentor of the Year Award in 2007, and four previous writing awards, is founder/president of Writers On The Storm, a local ACFW chapter. In 2003, she co-founded, co-directed and later served as Southwest Texas Director of Words For The Journey Christian Writers Guild. She and her husband Michael, married 22 years, have two lovely daughters, Katie and Lauren and a Rat Terrier princess named Patches. "Just Desserts," Barbour Publishing, 2011. When Lovita Mae Horton wins a trip for two to attend a cooking school in Paris, she invites her best friend Sue Jan Pritchard along. Their joy is short-lived however, when they find out the trip is to Paris, Texas! Sue Jan has family there—Aunt Lila and Cousin Pouncey, but discovers her eccentric Cousin Pouncey has just passed away. When Sue’s Jan’s unique antique platinum engagement ring goes missing, they suspect she lost it when saying her last goodbyes. With her wedding only a few months away, Lovita, Sue Jan and Aunt Lila decide to unearth the ring on their own, but instead dig up the dirt on an international ring of art thieves intent on brushing them off for good. Welcome to another Fortifying Friday at Seriously Write. This is the day we invite guest authors to share their journeys to publication, as well as encouraging words for writers. Have you ever been asked, “Why do you write?” If so, did you have an answer? Author Bonnie Leon is here today to talk about that very question. When we signed our first contract, held our first book or took part in our first booksigning it was pure joy. However, over time, the adventure became a job and we wonder what happened to the wonder. Creating characters and plotting story lines is great fun, but crafting a book is hard work. There are days when I’d rather do almost anything than plant my derriere in a chair and write. But deadlines and revisions wrestle me back to work. If I lose sight of the privilege I sometimes question whether I ought to do something else with my life. I’m sure God shakes His head at my fickleness, and with grace the Holy Spirit leads me to the truth. On one such occasion He reminded me of the apostle Paul. Paul was an educated, respected man of status and power. But an encounter with God changed his life forever. He became a servant of the living God. While imprisoned his thoughts were with believers who needed guidance and encouragement, and though in chains he praised the Lord. Paul described a life of deprivation and affliction. Why would we imitate him? There is only one reason—to display the glory of God—not to make a name for ourselves or to earn a six figure paycheck. One year after preparing our taxes our CPA asked, “Why do you do this?” I’m sure I appeared foolish to him. Some people who know how hard I work for modest wages shake their heads in mocking disbelief. Though most writers make less than minimum wage, we’re not going hungry or without clothing, but we do live with tight budgets. Yet we persist. There are places in the world where writers give up their lives or spend them in prison because they’ve written the truth. I can attest to the weariness. Some work days don’t end until the wee hours of the morning. As to curses—I’ve had a few, and all my writing friends have had darts thrown their way as well. So, why do we persevere? I can speak only for myself. God asked me to write, and I serve Him. But it’s not all drudgery. There are days when words flow onto the page like liquid gold and it is pure joy. When readers write to tell me how my words have uplifted them I feel divinely blessed. Be faithful. It is a privilege to uplift Christ and to glorify God. Bonnie Leon dabbled in writing for many years but never set it in a place of priority until an accident in 1991 left her unable to work at her job. 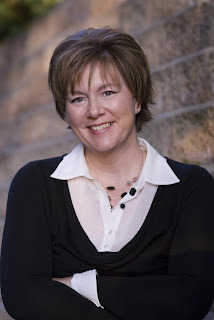 She is now the author of several historical fiction series, including the Sydney Cove series, Queensland Chronicles, the Matanuska series, the Sowers Trilogy, and the Northern Lights series. She also stays busy teaching women’s Bible studies, speaking, and teaching at writing seminars and women’s gatherings. Bonnie and her husband, Greg, live in Southern Oregon. They have three grown children and four grandchildren. “So do not throw away your confidence; it will be richly rewarded. Are you confident that God called you to write? You must be. Otherwise, why spend time and energy pouring your thoughts, imagination, and emotions on paper or the computer screen? Why risk sharing your work with other people? Especially those who might tell you it could be better? Why spend funds on “how to” books, conferences, or freelance editors? Why spend hours reading books on craft or attending critique groups? Why submit your writing to publishers, only to receive one rejection letter after another? When we’re “called” to write, we can do nothing less than put our heart, mind, and soul into our work. Even when we’ve experienced disappointment, we dive back in. There are times when we may feel discouraged. We may wonder if we’re ever going to get it right. But look at what Hebrews 10:35-36 says. Don’t throw away your confidence. God in his timing will reward you. We don’t know what that “reward” will look like, but God does. On the other hand, God does not take pleasure in those who become lazy. Those who refuse to follow their calling, or retreat because obstacles block the path. He’s given each one of us a purpose. (That includes the place writing has in our lives.) Don’t give up when the way becomes challenging, demanding, or just plain more difficult than you expected. No shrinking! (clap, clap) Persevere! Follow your calling with confidence! I hope your Thanksgiving was resplendent with prayers of gratitude for the many blessings we’ve been given. And I hope you ate lots of turkey too. Okay, the suspense is over! Have you been wondering what the answers to the sentences from two weeks ago are? I took a break last week, but I’m back! If you’re new, here’s the way Grammar-O works: Each week (except for last week!) I post a few sentences with grammar, punctuation, spelling, or other writing misdemeanors. Your job is to find the infraction and set it right. If you possess the courage, you’re welcome to post your corrections in the comments, or you may simply keep your grammar to yourself. Then next week, I’ll post the answers. 5) And then kids—everything else is literally a blur. 1) A great aspect about homeschooling are all the things I get to learn. Correct: A great aspect about homeschooling is all the things I get to learn. 2) We’re studying Earth Science this weak-rocks, manely. Correct: We’re studying earth science this week—rocks mainly. 3) Some rocks, called igneous were formed from hot lava, and some, called sedimentary came from sediments building up in layers. Correct: Some rocks, called igneous, were formed from hot lava, and some, called sedimentary, came from sediments building up in layers. 4) I enjoy learning but I must admit, my kids enthusiasm thrills me most. Correct: I enjoy learning, but I must admit, my kids’ enthusiasm thrills me most. 5) The other day my six-year-old boy said he wished he had a t-shirt with the 4 main layer’s of the earth on it. Now, thats pretty cool. Correct: The other day my six-year-old boy said he wished he had a t-shirt with the four main layers of the earth on it. Now, that’s pretty cool. Well, how’d you do? Did you fix all the sentences? *Disclaimer: I’m by no means perfect at this. I use The Chicago Manual of Style and Webster’s Dictionary as my sources. Hey readers, Annette here. My daughters and I recently visited a craft store in preparation for Christmas. Fun place! Paints, stencils, thread, yarn, beads, and bolts and bolts of fabric. My heart actually ached to get back to some kind of crafting. Over the years, I’ve enjoyed embroidery and painting, mostly. But it’s been a long time since I’ve given myself permission to work on any of it. If you’ve been a writer for long, you know the kind of commitment required when it comes to craft. That first critique at a conference or that first personalized rejection letter will tell you where your weaknesses are. And though it stings, pay attention. We could all use more understanding of craft. Many of our author friends who’ve been multi-published will tell you they’re committed to never stop focusing on craft. They make time in their writing lives to study and grow and learn. And these are some well-renowned peeps I’m talking about. *grin* So, if it’s one of their commitments, learning the craft should be one of ours, too. If you get a chance this Christmas season, grab a writing craft book and a highlighter and tuck yourself away for even a half hour. The great virtue of studying how to write is you can use the nuggets you learn the next time you sit down to pound out some words on your WIP. Is it time you renewed your commitment to the craft of writing? Maybe you could add a how-to book to your Christmas wish list. Happy studying and happy writing! Happy Manuscript Monday, dear readers. (Annette here.) Hope you had a very nice Thanksgiving weekend! Today we're welcoming back Bonnie Grove as she continues her series on subtexts in fiction. In our email interactions, Bonnie mentioned enjoying delving into the deeper concepts in fiction writing. I've really appreciated that, too. How about you? Enjoy! Last week we talked about subtext in dialogue. This was the place to start to understand subtext and its influence on the reader. An advanced look at subtext focuses on staging. Many writers shortcut this kind of staging, opting for generic tags; actions such as nodding, head shaking of any sort, blinking, smiling, furrowing of brows, et al., that don’t move plot, deepen understanding of a character, or add meaning to the scene. If you are unfamiliar with the various shtik available to you as a writer, read Art’s full article by clicking the link above before reading further here. Refer to your subtext mini-scene from last time where the single line of dialogue is, “I don’t understand why you are arguing with me.” Try mixing and matching different bits of staging to this line (speech, action, absolute, thought, or stage direction). Then ask yourself: 1) How does this tag deepen character? 2) Does it communicate meaning beyond the stated text? 3) How does it do this? In her novel Gilead, Marilynne Robinson creates Reverend John Ames, elderly and ill who writes a journal to his too-young son in hopes of imparting something of himself to the boy who will grow up without his father. Throughout the novel the reader is acutely aware of the sub-textual presence of time–time’s passing, lost, wasted, and yearning for more. Robinson uses staging subtext to build the setting of time’s passing inside John Ames’s mind, which spills onto every other part of his existence. "And memory is not strictly mortal in its nature, either. It is a strange thing, after all, to be able to return to a moment when it can hardly be said to have any reality at all, even in its passing. A moment is such a slight thing. I mean, that its abiding is a most gracious reprieve." The thread of yearning for what cannot have–more time–runs throughout the novel in subtext. This holiday weekend, we focus on our many blessings and give thanks. We’re filled with gratitude because we believe in a God who knows what is best for us not only as spouses, parents, children, friends, and employees—but also as writers. 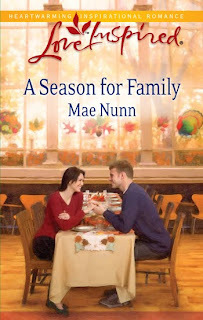 Today, author Mae Nunn shares how He led her in her own journey to publication. Welcome, Mae! About a dozen years ago I finished a wonderful book with a deceptively simple concept and thought to myself, I can do that. In fact, I knew of a guy with a pretty incredible survival story and thought he'd make a unique hero. So, I signed up for a continuing education class on writing romance novels. Two years down the road I'd written a couple hundred pages of back story and had no idea how to move to the next level. That's when I heard about Romance Writers of America. Through RWA I found Georgia Romance Writers where I met coaches for my craft and sisters to encourage me. 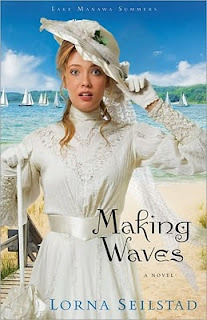 It was at a GRW meeting that I pitched to a Harlequin editor who asked to see a few chapters of my book. It took six months but the editor eventually asked for my full manuscript. I got it in the mail right away and resumed my wait. Six more months passed and in order to get a fifteen minute appointment with that same editor I traveled two thousand miles to attend a the RWA national conference in Denver. Alas, my manuscript hadn't yet made it to the top of her slush pile. She asked me to check back with her in three months. Three months came and went. I inquired politely (Polite protocol is a must!) and she apologized for the delay and asked for another thirty days to read my submission. By this time it was the fall of 2002. One night in my church community group meeting we talked about areas in our lives where we were holding out on God. That night I confessed to my friends that I knew God had a plan for my writing, but I wanted to go in a different direction first and that if it didn't work out I'd try it His way. (Feel free to laugh out loud at me here.) One of the women in my group looked at me like I'd just sprouted a horn in the middle of my forehead. "You have a word directly from God on your writing and you're ignoring it?" And at that moment I saw the absurdity of my approach to getting published. The next day I called the editor and asked her to return my manuscript and allow me to rewrite it as an inspirational romance. I also boldly asked her to give my submission priority once I returned it. She not only agreed to my request she actually encouraged me toward the Love Inspired line because it was expanding. I spent three months rewriting a book that I'd already worked on for four years! But I eventually resubmitted and settled in to wait. Good to her word, the editor called me a month later and said she loved the story! But… there's always a “but” isn't there? But the New York editorial staff had just been reorganized and she was no longer able to buy for Love Inspired. Before I could work up a good scream, she hurried on to thank me for being so patient with her and for working so hard on the rewrite, and she offered to submit it directly to the Executive Editor of Steeple Hill along with a letter of introduction. Picture me sitting at my desk on 3/13/03 at 3:00 when THE CALL came. It was Joan Marlow Golan on the line. For Joan that phone call was all in a day's work. For me it was a life-changing experience. Nothing much can ever compare to the sheer elation of hearing that my first book was SOLD! Talk about being rewarded for accepting and following the call on my writing! Since that fateful day in March of 2003 I’ve written seven more books for Steeple Hill and the editor who originally asked me to submit my manuscript is now my editor as well as the Senior Editor of Love Inspired! The take-aways of my story; OBEY THE HOLY SPIRIT, work hard at your craft, be patient, be flexible and be thankful! Until we meet again, let your light shine! Mae Nunn grew up in Houston and graduated from the University of Texas with a degree in Communications. When she fell for a transplanted Englishman living in Atlanta she moved to Georgia and made an effort to behave like a Southern Belle. But when she found that her husband was quite agreeable to life as a Born Again Texan, Mae happily returned to her cowgirl roots and cowboy boots! In 2008 Mae retired from 30 years of corporate life to focus on her career as a Christian author. 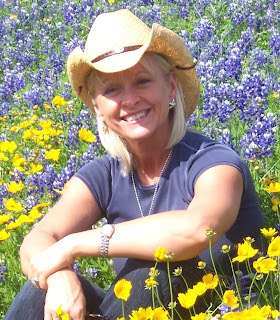 When asked how she felt about writing full time for Steeple Hill, Mae summed her response up with one word, “Yeeeeeha!” Visit Mae at www.MaeNunn.com. Annette, Ocieanna, and I are so grateful for you and the many guest authors who contributed to Seriously Write’s success this year. Thank you! As we gather with families and friends on this special holiday, we hope that you, too, are enjoying a wonderful day. On behalf of our readers, we want to thank and praise our loving God. This Thanksgiving Day we’re filled with gratitude for the many blessings in our lives. Everyone needs a break now and then, so we’re giving our grammar guru the day off. Ocieanna will return next Wednesday with more grammar fun and answers to last week's quiz. This past Manuscript Monday, author Bonnie Grove shared a great article on writing subtext. Part 2 of that article will be given next Monday. In the meantime, we're glad she's back today, answering common questions asked by writers. Welcome, Bonnie! I enjoy talking with new writers. I’ve met with many at conferences and in chatting with them, and answering their questions (as best I could) I’ve noticed themes in the questions people ask. I'd like to share some words of advice regarding some of the common questions I’ve heard over the past few years. Question: Where do I start as a writer? Answer: Read. The first step to becoming a writer is to understand literature. Reading broadly expands your understanding of how literature works, the purposes it serves, and the nearly endlessly creative ways you can approach story telling. Novelist Jim Harrison gives this important advice: "Be totally familiar with the entirety of the western literary tradition. How can you write well unless you know what passes for the best; in the last three or four hundred years?" Q: Should I plan and structure a novel before I write, or just start writing? A. Bones. I spoke to many people who didn't understand the structure of the novel. Genre or literary, all novels have plot points the reader is expecting, and if we don’t hit these points, the readers will be disappointed. We all like to think that great books simply pour out of writer’s fingertips, but the truth is the more you plan ahead of time, the less mess you’ll have to clean up in editing. Structuring and planning your novel will not strangle your creativity. It will accomplish the opposite. A: Be creative. Publishing seems filled with rules. How to write a query letter, synopsis, one sentence hook, premise, elevator pitch, and on it goes. It’s enough to give a new writer facial ticks. But fussing over the rules too much can dam up your creative funkiness. Don’t worry so much about the rules that you forgot the true goal, writing a deeply creative, original story in a compelling voice and style. Being amazing is better than being technically correct. Q: What is the best genre for me to tell my story? I want to tell a story that teaches people ______________ (fill in the blank with a good lesson people need to learn). A: Message driven fiction is boring. All fiction is spiritual in nature because fiction is the human experience set to story. When writing, it's important to focus on the story - not the moral of the story. Don't write a novel about redemption. Write a novel about characters that live and breathe and experience redemption in a powerful (and unique, and original) way. The message of your story will rise to the surface precisely because you placed it where it belongs - implicitly inside the movement of the story. Q: What is the most important quality a writer should possess? A: Being a writer presupposes self-understanding. There are more good answers to that question then I can think up, but I’d like to suggest that a writer of fiction needs to a good grasp of their own identity, flaws and all. A writer should be able to look himself in the eye and “this is your truth”. And secondly, I think a writer needs empathy for the human condition. Keep writing, keep learning, and let’s have fun out there. Bonnie Grove started writing when her parents bought a typewriter, and she hasn’t stopped since. Trained in Christian Counseling, theology and psychology, she developed and wrote strength-based social programs for families at risk while landing articles and stories in anthologies. She is the award winning author of the non-fiction Your Best You: Discovering and Developing the Strengths God Gave You; and the internationally published Talking to the Dead: a Novel. Her husband, Steve, is the Senior Pastor of Louise Street Community Church of the Nazarene in Saskatchewan, Canada. They have two young children and one small dog. Hey readers, Annette here. It's almost Thanksgiving! I've been thinking lately about how thankful I am for the many, many writers who have influenced my writing, encouraged me, critiqued my work, taught a workshop I attended, etc. Long before I ever started plotting stories in my head, or seeing scenarios consisting of characters of my own invention depicting scenes of my own invention, I read books by talented authors. And without even knowing me, they inspired me, influenced me. Later, the day came when I chose to write and gave it a try, thinking, vainly, I could jump right in and make a success of it. Ha! Twelve years later I’m still learning (which won’t stop). I have a pile of unpublished manuscripts hoping for homes while I try new projects. I’m a reader, writer and editor, and I know this is where I’m called to be. ~ You could offer advice, encouragement, lessons in your strengths. 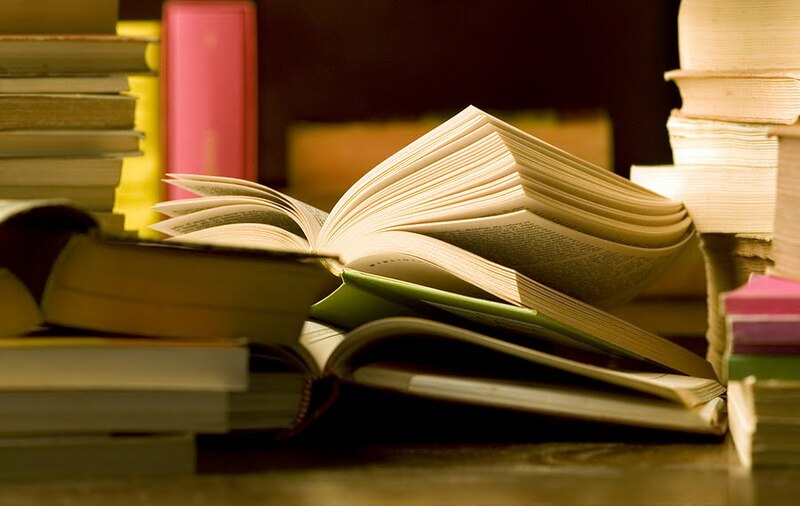 ~ You could serve as an influencer and encourage readers to buy your favorite books. ~ You could post book reviews online. ~ You could blog on writing. ~ You could critique someone else’s work and offer your opinion. There are many ways you could give back to the writing community. Giving back may require a new commitment. If so, I encourage you to make it. There is so much joy in giving. This season as we give thanks and look forward to Christmas, consider the various ways you could give back to those who’ve helped you along your writing path. You might be surprised how God blesses you in the blessing. Happy Manuscript Monday, dear readers! Annette here. Today we're in for a treat. Bonnie Grove is here to discuss subtext--a rich tool for layering up your fiction. She'll return twice next week--once with another article on subtexts and once on Writer's Journey Wednesday with some writing tips. But for now, check out this great piece on subtext in fiction. Enjoy! Great fiction is haunted. Between the words linger the ghosts of human love, hunger, hope, suffering, self-doubt. They whisper in the reader’s ear, yet when the reader attempts to locate the source, it vanishes. The reader returns to the passage that so moved her, revisits the sweet ache, waits for the ghost to speak again. And they dance; the reader and fiction’s ghost, whose name is subtext. 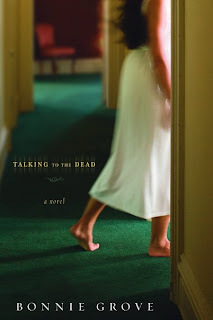 How does the writer go about chasing ghosts around the page when there is enough to worry about inside the solid plot and characters already running amok? And why should we fuss with subtext when the message of our story rings like church bells on a cold morning? And what is subtext anyway? Charles Baxter, in his slim volume The Art of Subtext refers to it as “the unspoken soul matter” of a story. A phrase that captures the essence, if not the substance. Another favorite description is the moving picture image of a dinner party where everyone discusses the people who aren’t there. Those not present are palpable in their absence. It is as if they were there. Most discussion of subtext in fiction focus on it use within dialogue. This harkens to its theatrical counterpart where actors dramatize their lines so as to infuse texture and human vulnerability to their part. This is the simplest form and usage of subtext, a handy place to start (but beware, as with all the instruments in your writing tool box, the important skill to master is knowing when to use it, and when not to. Subtext in dialogue is best used sparingly, and in tune with characters and plot). Subtext in dialogue is intuitive to the writer. The tool feels familiar in your hand. Here is an exercise with which to impress yourself: Your character speaks to someone, “I don’t understand why you’re arguing with me.” Craft a scene that lasts as long as it takes to speak this one line. Then, infuse the line with a dialogue tag--in this case, an explanation of how the line is spoken. How have you imagined this line would be said? Think about the same line of dialogue, but infuse the line with a ghost. Your character speaks the identical line, but with the subtext--the unspoken soul matter of: “I want to make you to love me.” How has subtext altered your dialogue tag? The subtle differences, over the space of a story or novel, add up to the story lingering in the mind of the reader long after the last word is read. Next week, we’ll look at two other ways to employ this tool: staging, and using character attention and inattention. This Fortifying Friday we welcome author Dan Walsh to Seriously Write. I’m so glad we're able to share his story with you. Dan’s journey to publication is a little unusual, but it’s a great example of how God works. He has a unique plan for each one of us. A writer’s journey may have similarities to other authors, but it will always be different and special in its own way. Thanks, Dan, for sharing yours with us. When Dawn e-mailed, asking me to consider sharing my publishing journey with you all, I was initially reluctant. You might think it’s a story any writer would love to shout from the rooftops. I’ve included a picture of a turtle to help illustrate my problem. The path I followed to getting my first novel published is about as unlikely as that turtle sitting on top of that fencepost (and would be just as challenging for someone else to follow). For about a year after, I didn’t want to tell my story to any of the authors I met online, but you can’t avoid it. It’s one of the small-talk questions writers ask each other. I’m more comfortable talking about it now because it is, after all, the story God chose for me. Who am I to question His ways? My passion to write began during an 11th grade composition course (back when dinosaurs roamed the earth). By the end of that year, I knew I wanted to write novels. A year later, I came to Christ and it totally messed up my plans. I suddenly realized I had nothing to say. So I set my writing dreams aside and made my aim to get to know the Lord better. This led toward a call to ministry. For the next 20 years, I didn’t write another thing (except sermons). By 1997, my wife Cindi and I had two small children. I was the lone pastor of a growing church. At a conference, pastors were challenged to pick up a hobby as a way to release stress and avoid burnout. Cindi suggested I start writing fiction again. At Christmastime that year, the storyline for what became The Unfinished Gift (my first published novel) began playing in my head, like scenes from a movie. Over the next two days I wrote a five-page synopsis, then set out to write the book. A few months later, with the book half-finished, I knew it just wasn’t the right time. Writing had quickly grown from a hobby to an obsession. I could either stop writing or become a bad dad. I set the book down and didn’t write another thing for 10 more years. In 2007, Cindi urged me to pick up the book again and finish it. It just seemed like the right time. Both our children were now grown, and I had already begun to train someone to take my place at the church. So I pulled the book out, brushed off the cobwebs, and finished writing it before summer’s end. Here’s where the fencepost thing comes into play. From everything I’d read, I should expect an extremely frustrating process from this point, with many years of constant rejection. That didn’t happen. Instead … I have only one rejection letter in my drawer. Working from a list of the top literary agents in Christian fiction, I submitted my first three query letters, including a brief synopsis and the first three chapters. After one rejection letter, two more letters came. But agents two and three asked to read the entire manuscript! Within two weeks, one of them got back with me, confident she could get a contract for the book. We had the contract with Revell for The Unfinished Gift less than two months later. A few months after that, Revell bought the sequel called The Homecoming. It released this past June. Before it even hit the shelves, Revell offered me a contract to write three more novels. My third novel, The Deepest Waters, is coming out on April 1 (the cover is amazing). I finished the fourth book in September, another Christmas novel coming out next year. 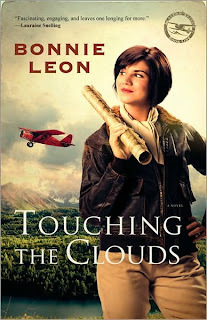 At the moment, I’m about 80 pages into my fifth book, due out in the spring of 2012. This past September, my first novel, The Unfinished Gift, won two Carol awards at ACFW’s annual conference. Somehow, and for reasons I can’t begin to fathom, God just picked me up off the grass and plopped me on top of that fencepost. I skipped the hardest part. I have no idea how I got here and no idea how to advise anyone else still along the way. I’ve pondered why God allowed me to experience such favor, with so little effort on my part (except the writing itself). I’m still not sure. Perhaps, every now and then, God chooses some to be living monuments to the reality of this truth: Nothing is impossible for God. It’s not all up to us and our efforts. We don’t have to live our lives as orphans, fending for ourselves (including our journey toward publication). If God the Father knows when a lone sparrow falls in the forest, He knows our situation, down to the smallest detail. When I stand before God, I don’t stand before Him as a multi-published, award-winning author. Those of you still not published stand right beside me. We both stand before Him as beloved children. His love for us is the same and, because of Christ, will never be removed. May I encourage you to pull away often from the frenzied pace―whenever you’re tempted to believe it’s all up to you―and allow His love for you to regain first place and refresh your soul. Keep working hard at it, keep writing and refining and listening to good advice. But always know, you are loved, and you are His. No earthly prize will ever compare to this. 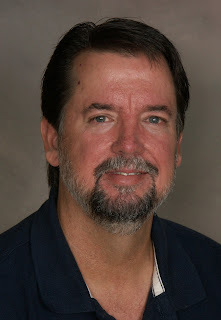 Dan Walsh is a member of American Christian Fiction Writers (ACFW) and the Christian Author’s Network. His first novel, The Unfinished Gift won two Carol Awards from ACFW for best debut author and best short historical fiction. 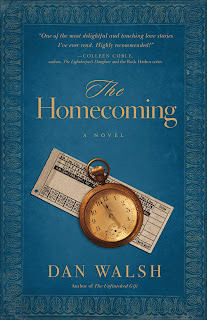 The sequel, The Homecoming, released in June 2010. His third novel, The Deepest Waters, will hit the shelves on April 1, 2011. His publisher, Revell, has signed him to write two more novels. The fourth is another Christmas novel due out next year. He’s busy now researching and writing his fifth book. For those who haven’t read Dan’s novels, reviewers often compare his books to Richard Paul Evans, Jason Wright and Nicholas Sparks. He served as a pastor for 25 years, then retired from ministry and now writes fulltime in the Daytona Beach area, where he lives with Cindi, his wife of 34 years (and the only woman he has ever loved). They have two children, both now grown (their first grandchild is on the way). Do you desire God to favor—honor the work of your hands? We spend countless hours researching, plotting, outlining, and writing our stories. Then we may ask a critique group, or hire an editor, to give suggestions on how to improve our work. We write and rewrite. Then one day we send a query letter, or submit a proposal, hoping that our story or article will be published. We wait—and pray. We ask God to bless our work. We may even beg him to find favor with us and our submissions, and reward us with a sale. After all, shouldn’t all that labor bear fruit? Are you familiar with Facing the Giants, a film about faith and football? In the story, a coach at a Christian high school faces the possibility of his losing his job, while also struggling with disappoints on the home front. One particular scene in this movie continues to impact me. A man in the community told the coach that he should prepare the fields in expectation of rain. In other words, the coach should continue serving, sharing Christ, and mentoring those kids, (preparing the fields) and God would bless him, his family, and the team (the rain). We need to do our part so God can do his. We need to do the work! Prepare your own fields. Study the craft, be open to critique, network, read, and write, write, write. Step out in faith, believing that God will honor your efforts. The rain will come. 1) Last week I spent many hours preparing for my nine year old daughter Gabrielle’s birthday party! Phew! Correct: Last week I spent many hours preparing for my nine-year-old daughter Gabrielle’s birthday party. Phew! 2) Fancy Nancy was the theme, you may be wondering who is Fancy Nancy. Correct: Fancy Nancy was the theme. You may be wondering who Fancy Nancy is. OR: You may be wondering, Who is Fancy Nancy? 3) Fancy Nancy, who Gabrielle loves to imitate, is her favorite book series. When the nine fancy, little girls arrived, my adrenaline was pumping! Correct: Fancy Nancy, who Gabrielle loves to imitate, is the heroine of her favorite book series. When the nine, fancy, little girls arrived, my adrenaline was pumping. 4) All in all the line-up of crafts, a buffet, cake, punch, and games went good and the Little Darlings said their goodbyes wearing lovely smiles. Correct: All in all the line-up of crafts, a buffet, cake, punch, and games went well. The little darlings said their goodbyes wearing lovely smiles. 5) As for me, I was exhausted! Still recovering. Correct: As for me, I was exhausted. Still recovering. Note: Did you think I missed the fragment? Still recovering. Yes, it is a fragment, but it’s okay to use one if it’s on purpose and it does not cause confusion. Tip: Exclamation marks. If you look at these sentences as a paragraph, there were way too many! Use sparingly. One per paragraph at the most.